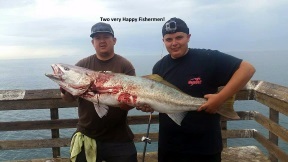 Not only has IB had an Unusually hot Weather, We have also had Unusual Warm Waters have Brought a Fishing Boom to Imperial Beach! 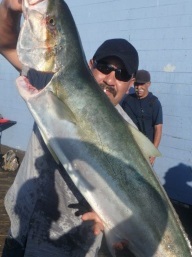 have Brought a Fishing Boom to Imperial Beach area and the Imperial Beach Pier. 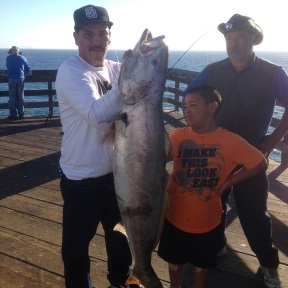 Alex Pina shared with me about the great fishing off the Imperial Beach Pier and provided me with some great photographs! Ocean temperatures are normal on their way to the low 60%'s this time a year. Alex shared with me at times water temperatures were running as high as 74% and higher. Thank you Alex and great fishing to everyone!